March 4, 2015 – On March 2, 2012, a giant eruption of solar material exploded up off the surface of the right side of the sun, as captured in this image from NASA’s Solar Dynamics Observatory. Known as a prominence eruption, most of the material usually falls right back down on to the sun. Prominences are anchored to the Sun’s surface in the photosphere, and extend outwards into the Sun’s hot outer atmosphere, called the corona. A prominence forms over timescales of about a day, and stable prominences may persist in the corona for several months, looping hundreds of thousands of miles into space. Scientists are still researching how and why prominences are formed. The red-glowing looped material is plasma, a hot gas comprised of electrically charged hydrogen and helium. The prominence plasma flows along a tangled and twisted structure of magnetic fields generated by the sun’s internal dynamo. 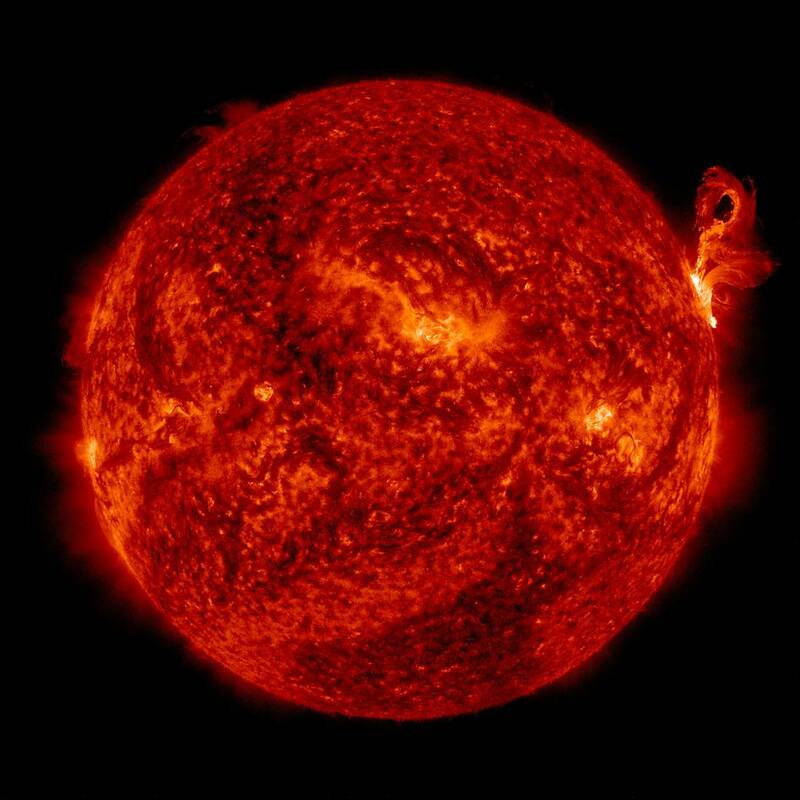 An erupting prominence occurs when such a structure becomes unstable and bursts outward, releasing the plasma.